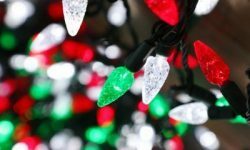 As LED Christmas lights have begun to outsell traditional incandescent light sets, more and more new sellers have begun to emerge into the online LED market with inaccurate claims on LED Christmas light specs. 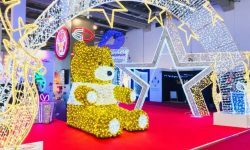 Although there are a number of reputable sellers throughout the Christmas industry, there are also a fair share of less than reputable sites making unrealistic promises and offering seemingly too good to be true statements on LED Christmas lights and decorations. 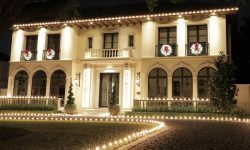 While it's clear that LEDs offer significant advantages over tradition Christmas lights, however, there are countless sites that exaggerate the benefits of LED Christmas lights and even some sites that outright lie about the product they sell. One site I recently came across claimed that LED lights are 10 times brighter than incandescent lights. So based on this ridiculous claim, a LED retrofit C9 bulb would be as bright as a 70 watt light bulb. A whole house lit up with bulbs that are 10 times brighter would be so bright that you couldn't even bare to look at them. The same site then went on to claim that LED Christmas lights will last at least 50,000 hours. Now granted, most LED bulbs are in fact rated between 25,000 and 75,000 hours, but this is not the same as stating that the light set will actually last that long. Bulb life ratings are based on perfect factory conditions and don't take into account weather and UV, as well as wear and tear from installation and removal. Once all of that is taken into account the life of a light set is nowhere near 50,000 hours. 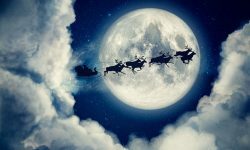 After all, if you had your LED lights turned on for 12 hours a night for 45 days during the holiday season, your lights would supposedly last 92 years based on the 50,000 hour life expectancy! Despite these outlandish claims, potential buyers still fall for the overblown hype these sites are claiming. As one of the country's leading LED Christmas light sellers, we're constantly fighting the misinformation that is being fed to unsuspecting customers. This is not to say that we're not huge fans of LED Christmas lights. In fact we've switched all our own pro install jobs that we do throughout Florida over to LEDs. We use very few incandescent lights and the benefits of LEDs have made them a huge success, both for our installation division as well as our eCommerce department. 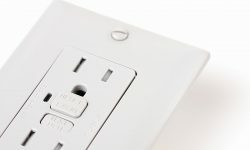 While we have no doubt that LEDs are the way to go, we do feel strongly about making sure our customers and dealer network have accurate information and specs to go by when making a buying decision. 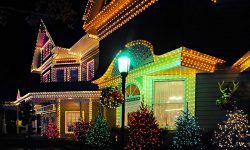 When shopping for LED Christmas lights, look for outlandish claims and too cheap to believe pricing. When in doubt, call the company on the phone and ask them direct questions. The larger, better established sellers will have a trained staff ready for your calls and will be able to answer your questions accurately and professionally. While a site can seem impressive on the Internet, the true story generally comes to light when you contact them on the phone.